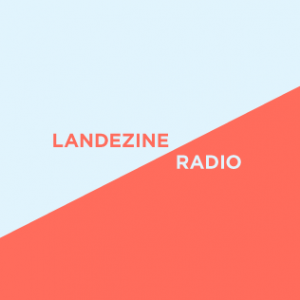 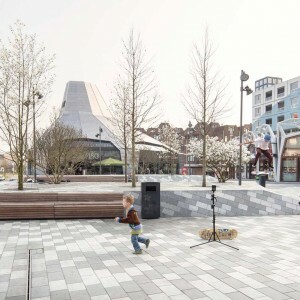 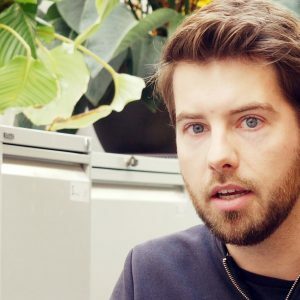 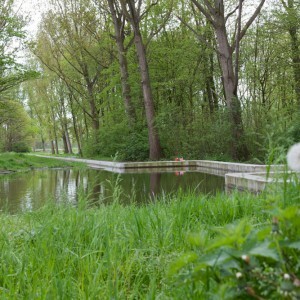 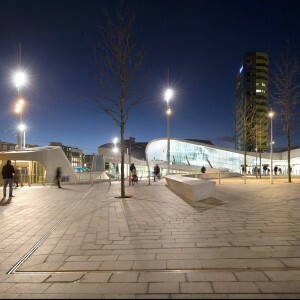 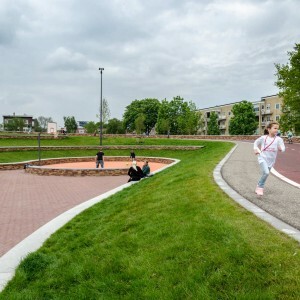 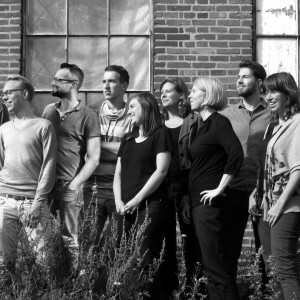 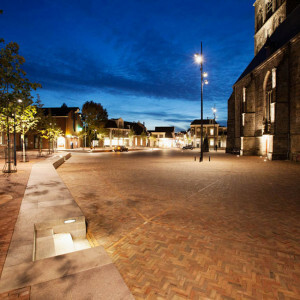 Bureau B+B: The goal set by Oldenzaal’s city council for the redesign of St. Plechelmus square was to make it the most beautiful square in Twente. 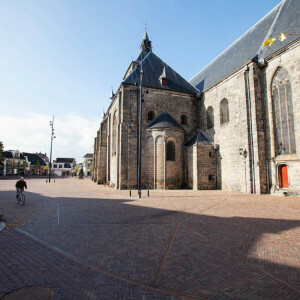 The square can be upgraded if the parking is removed from around the cathedral. 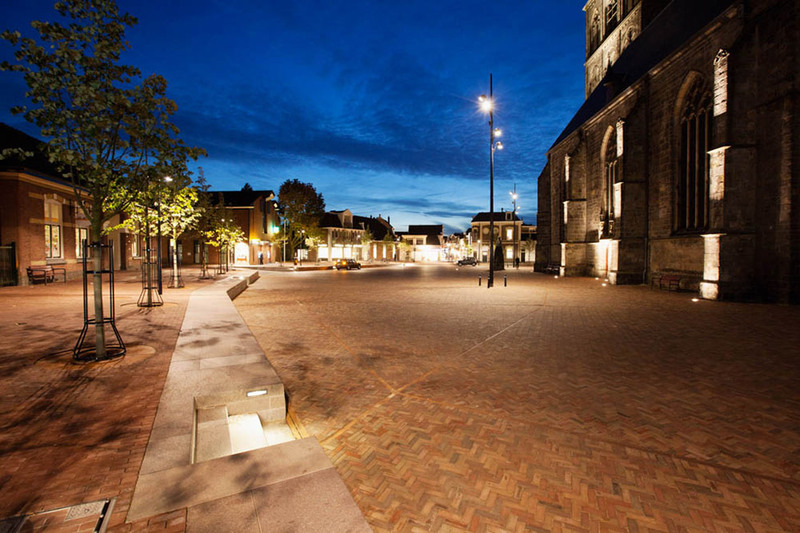 St. Plechelmus square lies in the heart of Oldenzaal; it is the city’s landmark and terminus for the country roads that lead to the square. 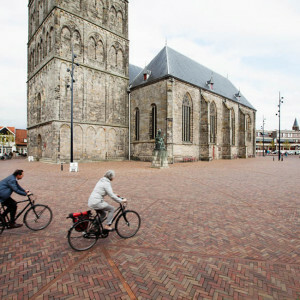 The oldest sections of the cathedral date from the twelfth century and its colourful stained glass windows, dating from the nineteenth century, make the cathedral truly unique. 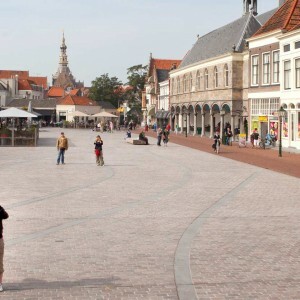 The city of Oldenzaal is an age-old fortified city whose medieval street pattern is still visible in the city centre. 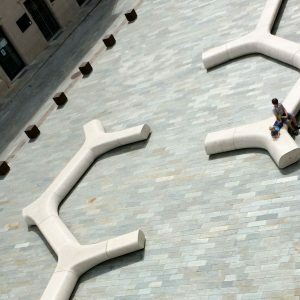 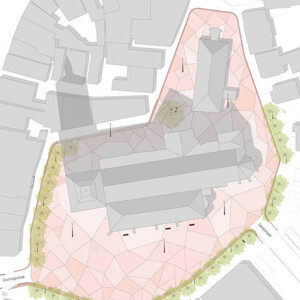 Focussing attention on the cathedral and the medieval street pattern is the design’s leitmotif and source of inspiration for the redesign of St. Plechelmus square. 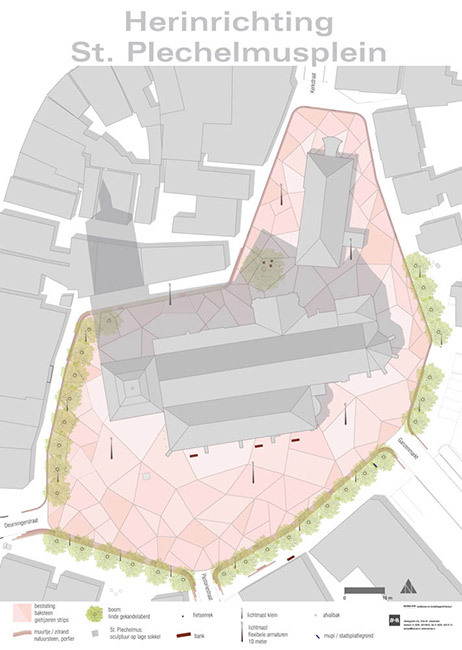 An open space that is formed by the façades surrounding it is a characteristic of medieval street patterns. 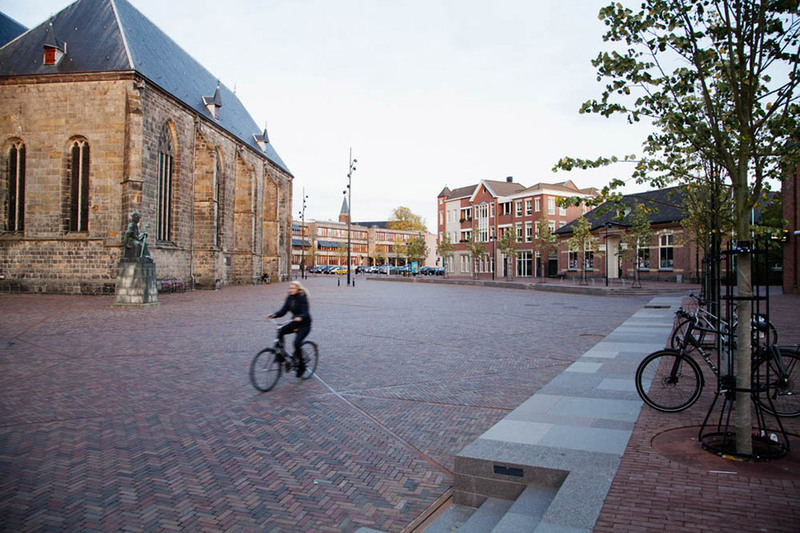 A low wall that follows in the direction of the old façades accentuates this characteristic in the redesign. 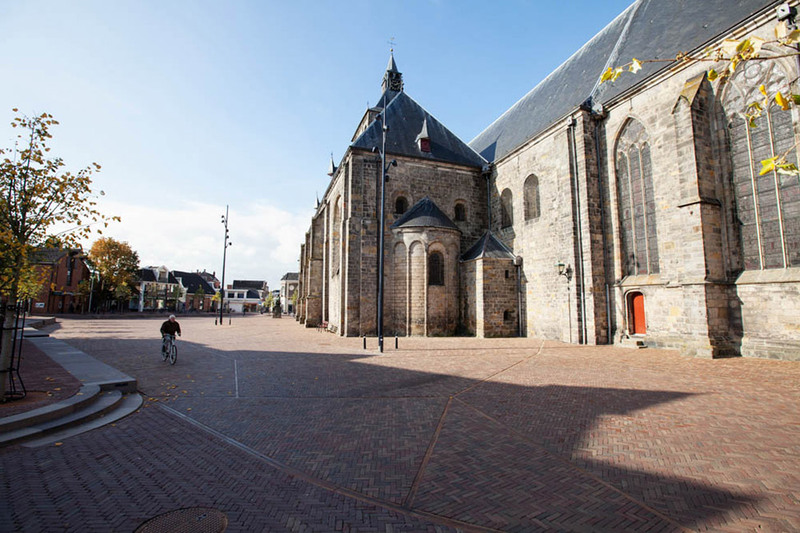 There is a contrast between the narrow streets and the scale in the square, where there is room enough for events, the fun fair and the market. 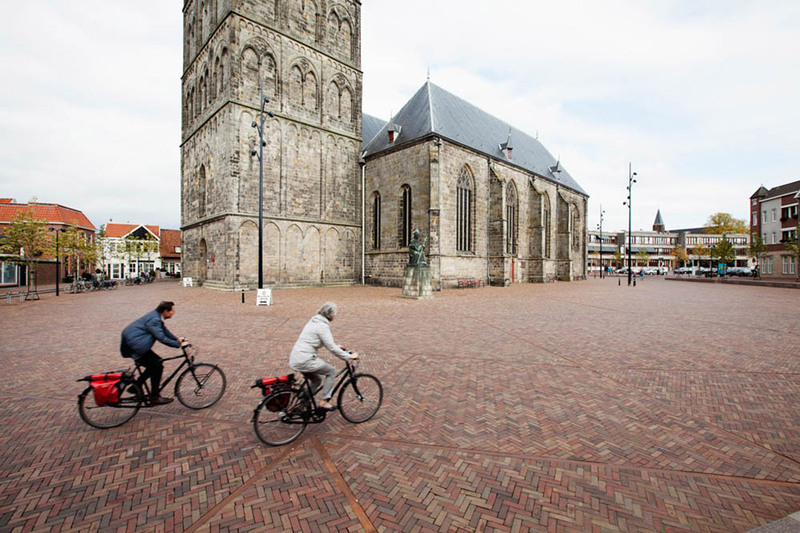 Traffic is only a temporary guest. 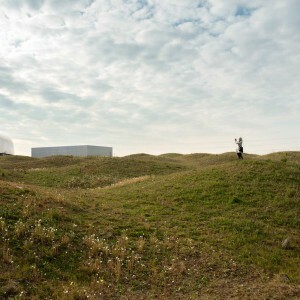 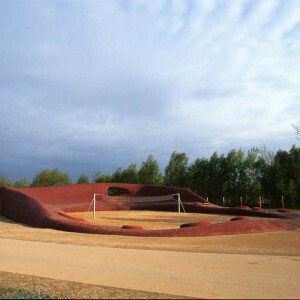 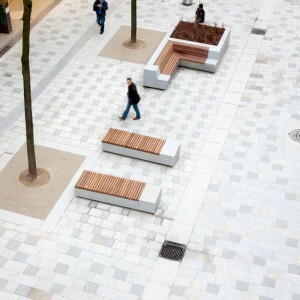 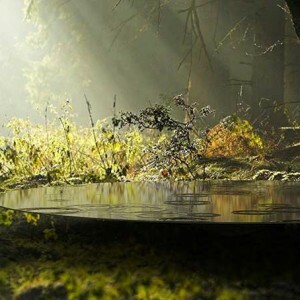 A rim of trees along the edge of the square reinforces the shape of the space. 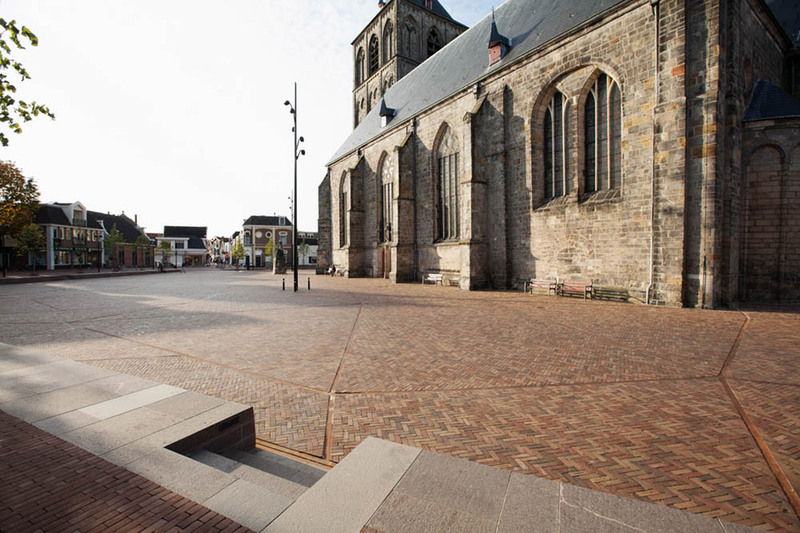 The pavement, in an extraordinary pattern inspired by forms in the cathedral’s stained glass windows, mounts the cathedral on a base. 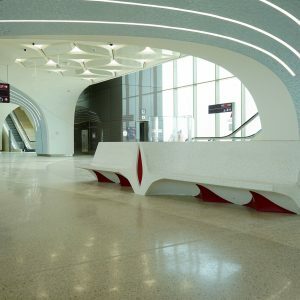 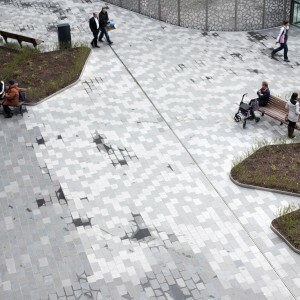 The pattern emphasises the space as a place to stop and relax. 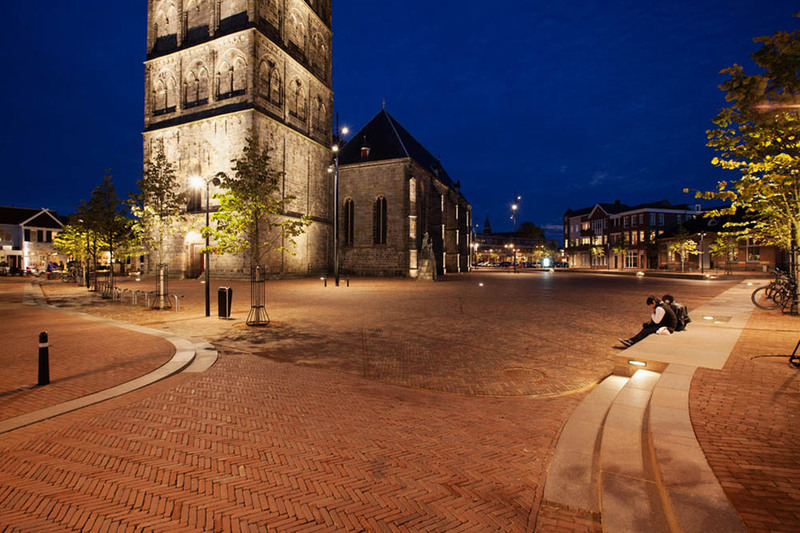 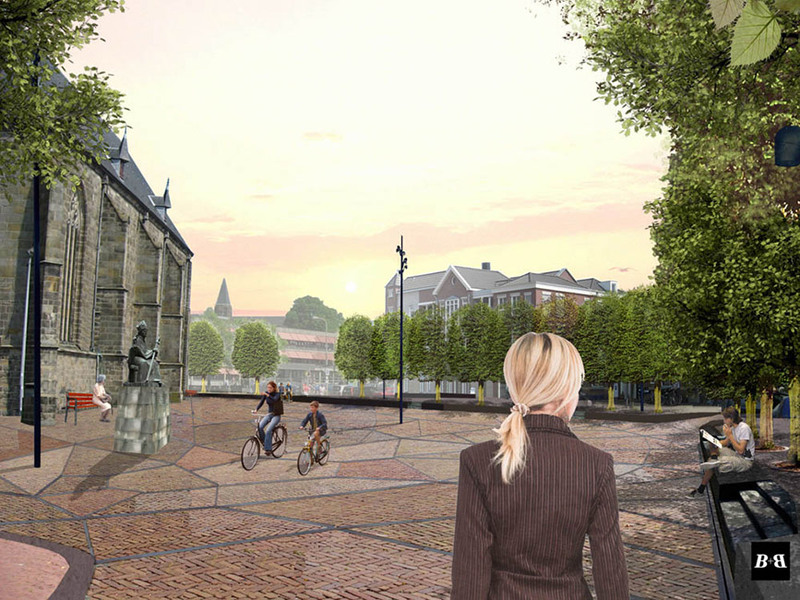 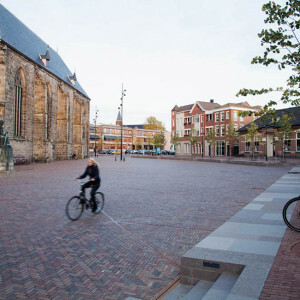 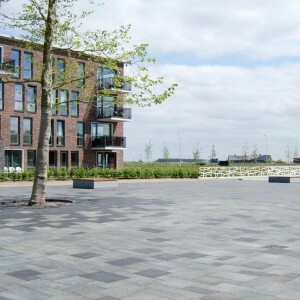 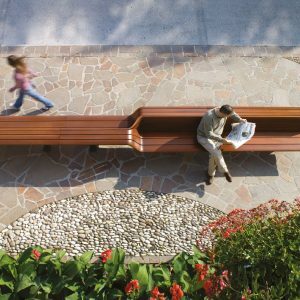 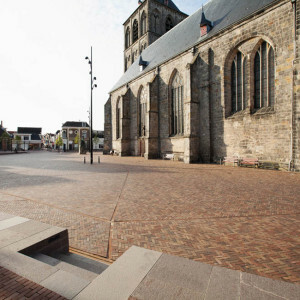 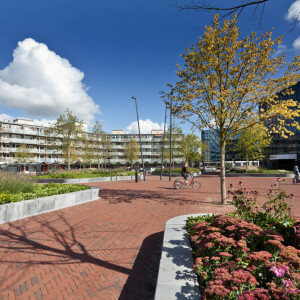 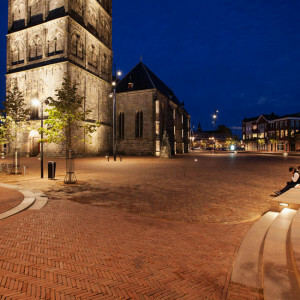 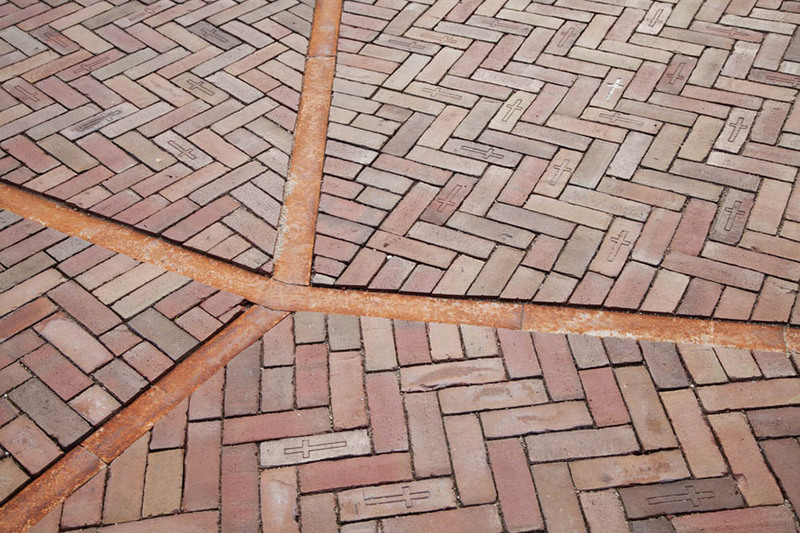 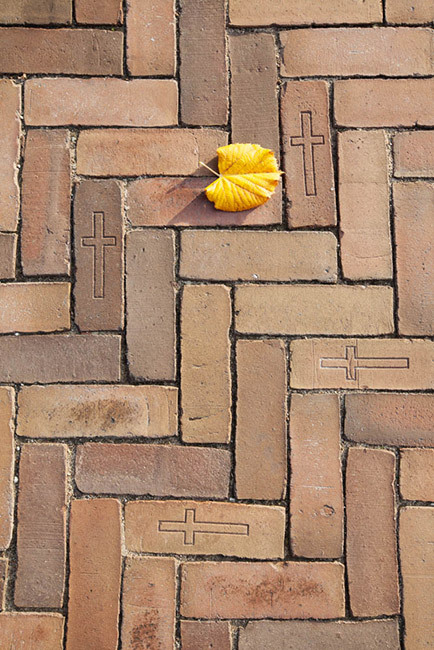 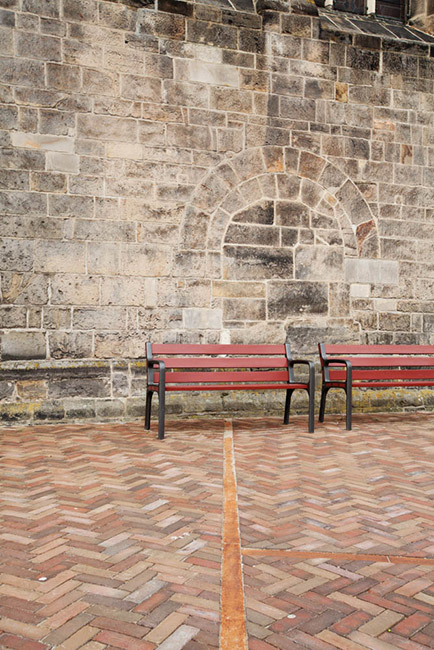 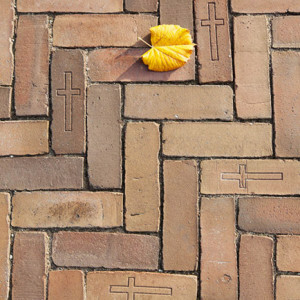 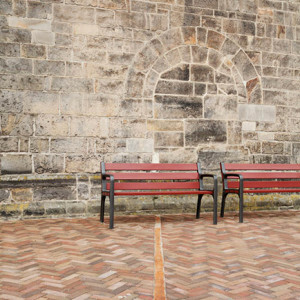 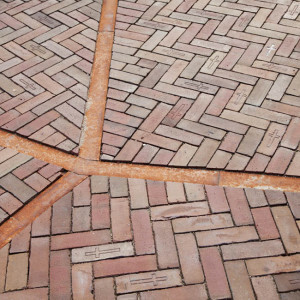 Brick is the square’s basic paving material and has been chosen in a particular mixture of colours well suited to both Oldenzaal and the cathedral’s sandstone. 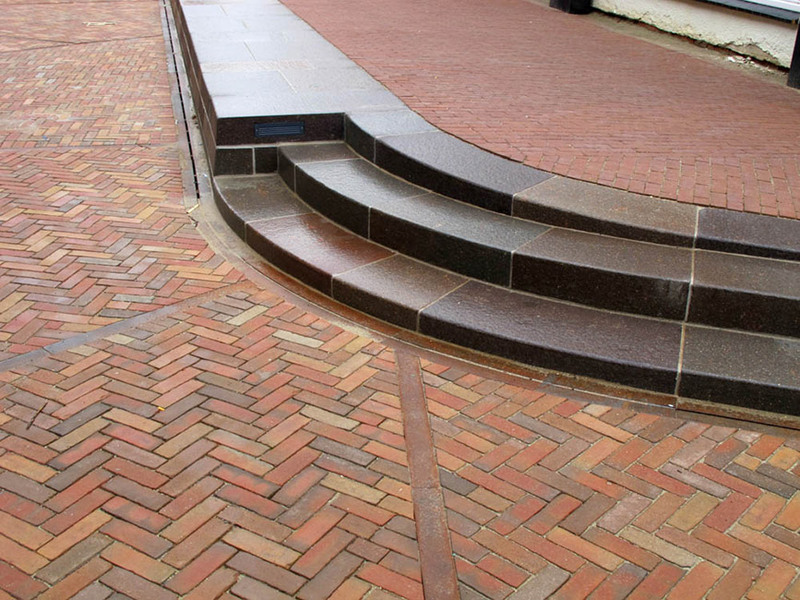 In the plan, a great deal of attention has been given to the details. 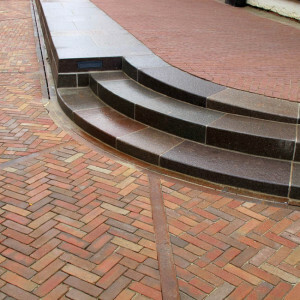 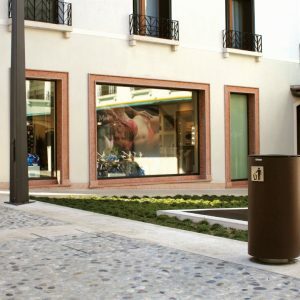 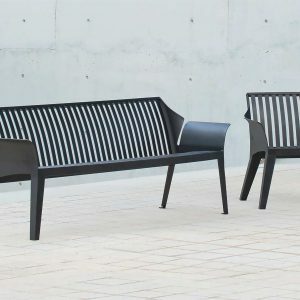 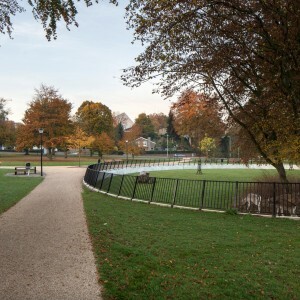 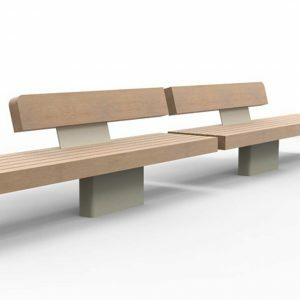 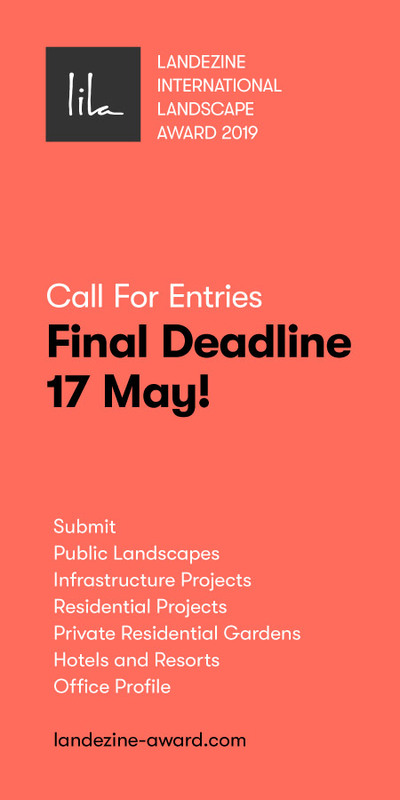 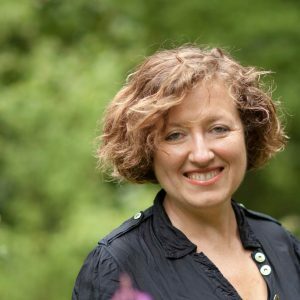 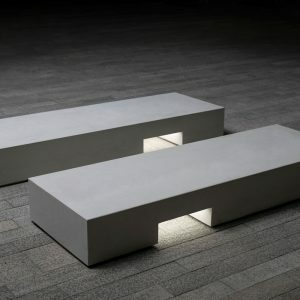 This has been translated into carefully considered connections with the surrounding area, incorporation of street furniture, drainage and meticulous retaining wall calculations. 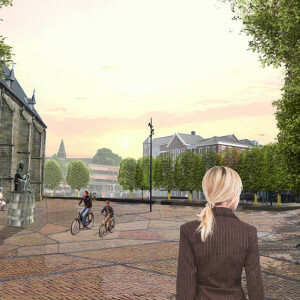 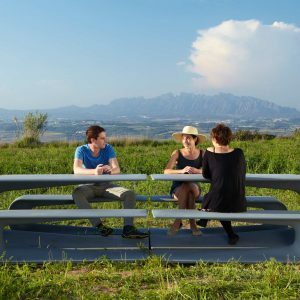 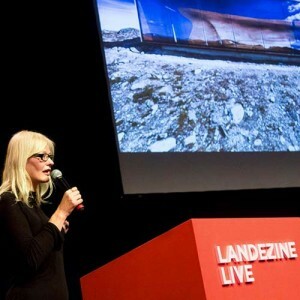 These will help prolong the sustainability of this public space.